Love the crochet details on this one. Top has a back zip which zips nearly to the tailbone area. Sizing runs big for this piece. Black S fits me well with some allowance, M was way too big and shapeless. 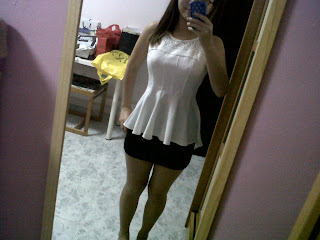 There’s also an asymmetrical hem cutting for this top, the back is longer than the front by a little bit.